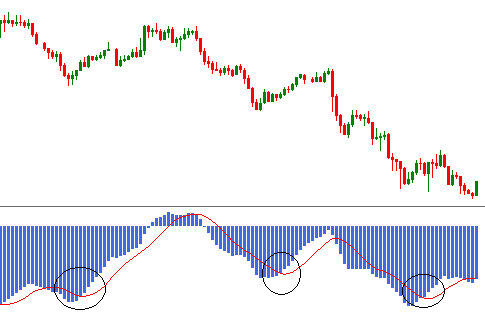 MACD technical indicator is a very commonly applied technical indicator in financial trading. The indicator is developed by Gerald Appel in the late 1970s. The mathematical formulas behind this indicator are very complex. This post is to explain the way to trade with MACD technical indicator. Do not bother, we do not need to be a master in mathematics. 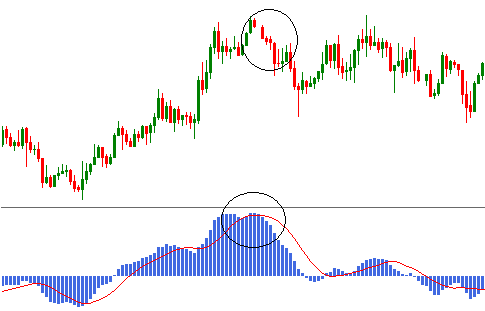 MACD indicator has histograms, which traditionally represented by MACD line, MACD signal line and zero line. Zero line is the line from which the histograms move up and down. Both histograms and signal line are used to interpret this indicator to find entry and exit signals. The interpretation of this indicator is relatively complex. Generally, when the histograms are above the zero line, it indicates a bullish trend. When the signal line covers the histograms from above, it is considered as a short signal, and when the signal line covers the histograms from below, it is considered as long signal. In the above market situation, MACD signal line covering the histograms from above. Generally, it is considered as a short signal. To place an order with MACD, the interpretation is not as easy as it sounds because sometimes when MACD signal line covers the histograms from above, it indicates a correction also. In the above practical market situation, the MACD signal line covers the histograms from below. This indicates a long entry signal. The aforementioned principles are not enough to place winning trades with MACD indicator. Traders should also consider the following key principles while trading with MACD indicator. MACD histograms above the zero line indicates a bullish market. 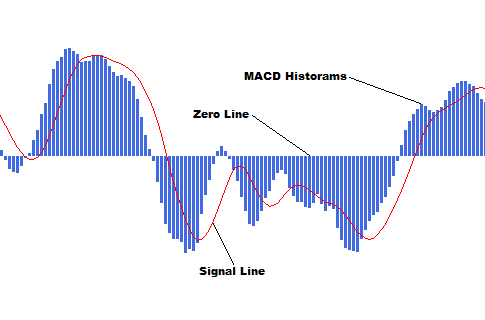 MACD histograms below the zero line indicates a bearish market. When the signal line covers the histograms it either indicates a correction or a reversal. Identifying a reversal with MACD is hard to do. A reversal may appear after 2-3 bottoms or tops made by histograms. Zero line behaves like a support or a resistance level. Dear Traders, these are the very basic of trading with MACD technical indicator. If you have any questions regarding this post, you can drop it below. You can also subscribe yourFXguide to receive updates right into your inbox.